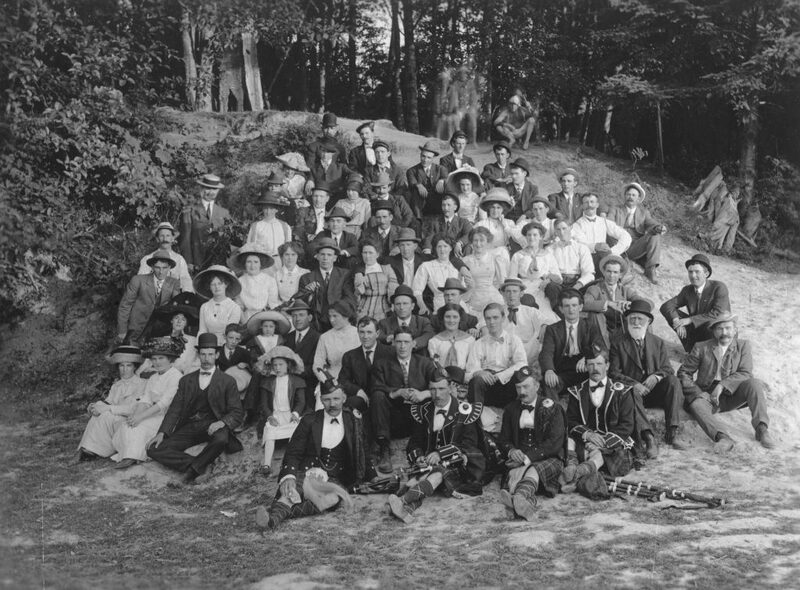 This is our oldest Society photo: Society members enjoying the annual picnic at Bowen Island in 1911. 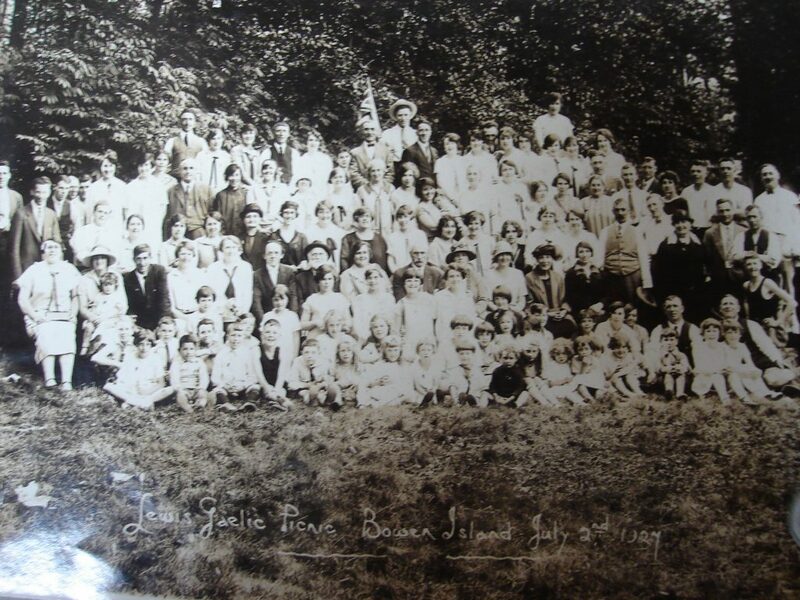 A large group of over 350 attended this society picnic at Bowen Island in 1936. 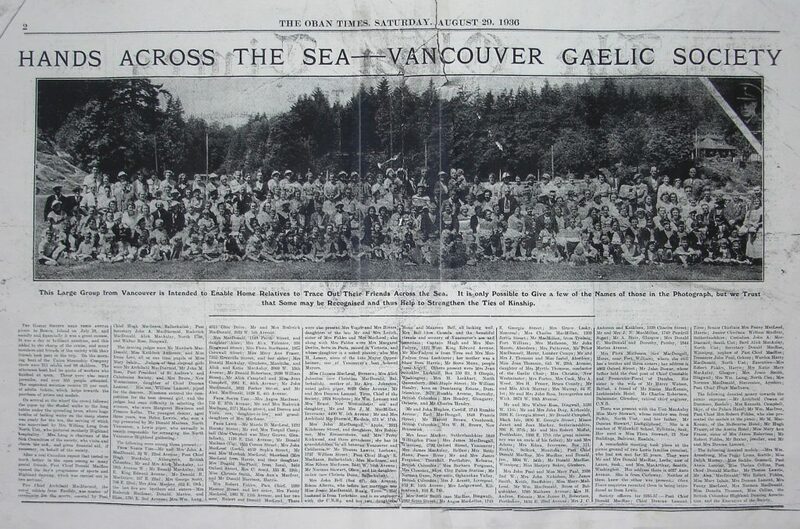 The picnic included piping and dancing competitions, and a good time was had by all! 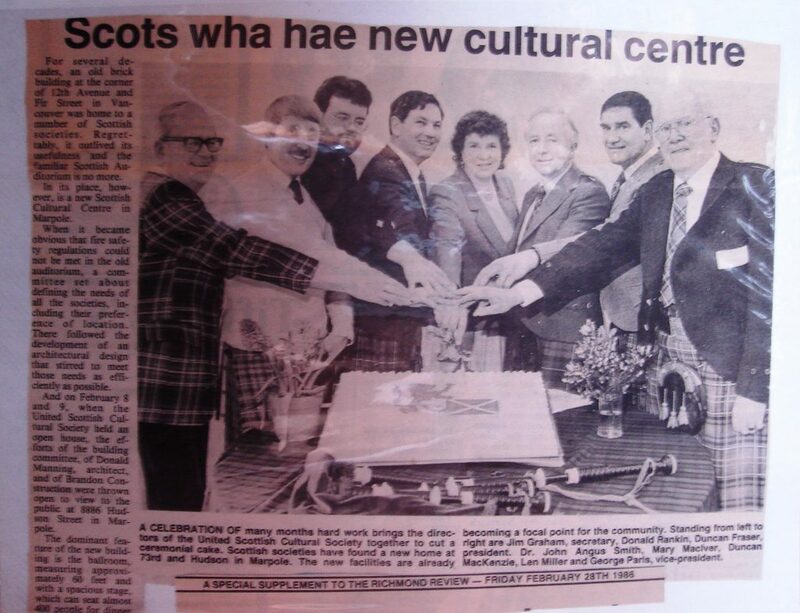 Gaelic Society members who were on the committee organizing the building of the Cultural Center in 1983. 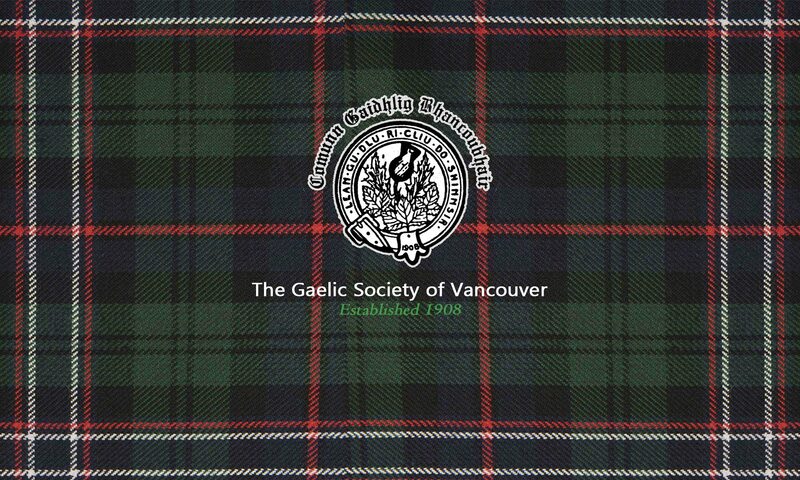 On the left: Jim Graham, and in the middle: Dr. John Angus Smith, Mary MacIver, and Duncan MacKenzie. 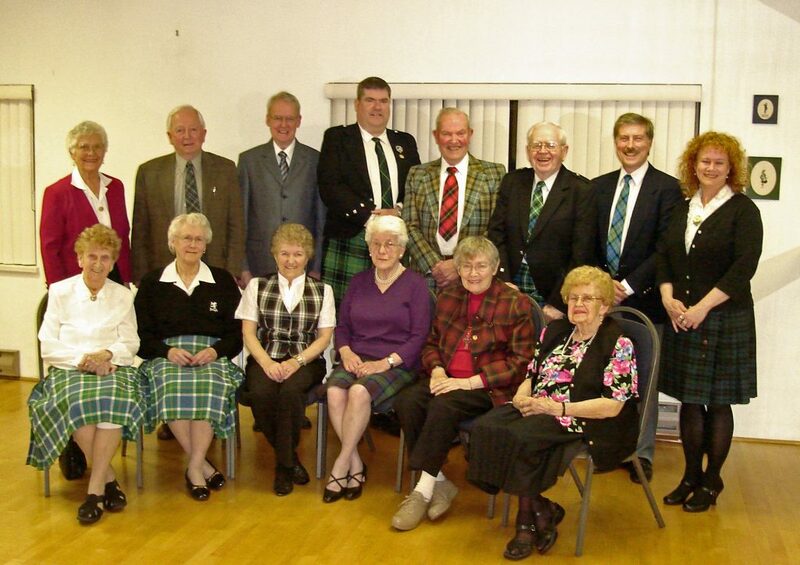 Society chief and past chiefs at the 100th Anniversary celebrations May, 2008. 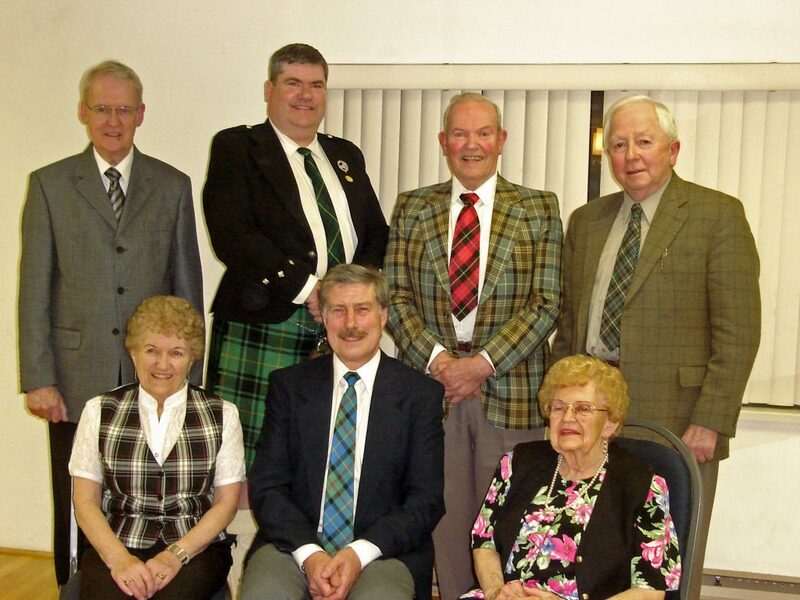 Back Row: Murdo MacIver (Tolsta), Iain MacIver, Murdo MacIver (Arnol) and Duncan MacKenzie. 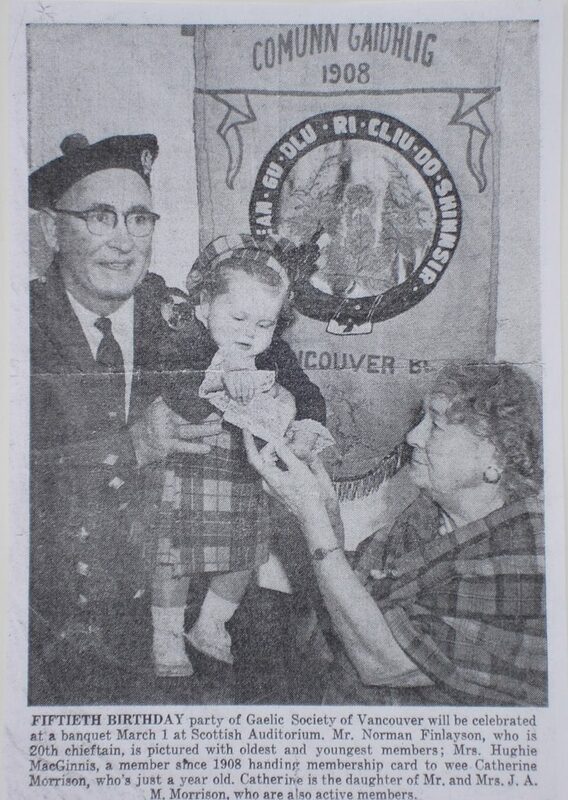 Front Row: Maureen Lyon, John MacLeod, and Morag Black.